Behold The Man No. 43 “Here Comes the Bride” – Joe McClane | Catholic: Author, Speaker, Evangelist & More! Today, on “Behold The Man” We dive into chapter 6 of Scott Hahn’s “A Father Who Keeps His Promises” which introduces us to Rebecka, the wife of Isaac. 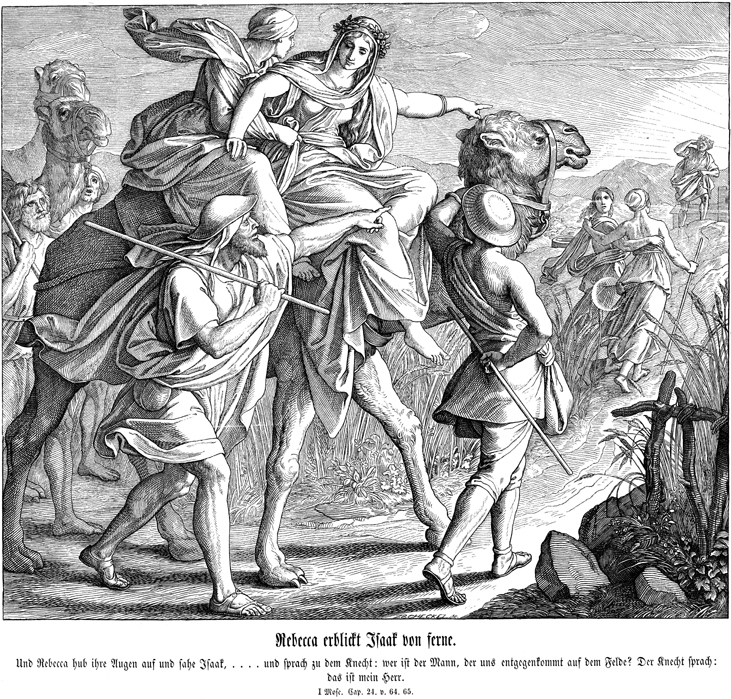 It seemed rather interesting to me that Scott move rather quickly through the narrative on how Isaac met Rebecka so I thought we would spend a show talking about it (Genesis 24). There are some very cool typological themes here that I want to bring out. The intro song was “All My Love” by Michael Rodgers. Check out his website HERE. Haydock;s Catholic Bible Commentary, 1859 edition. The Targums – Oral tradition & interpretation of the Hebrew Scrolls into Aramaic. Pick up your copy of the Book HERE and the audio book HERE and prepare yourself for the journey through Salvation History!